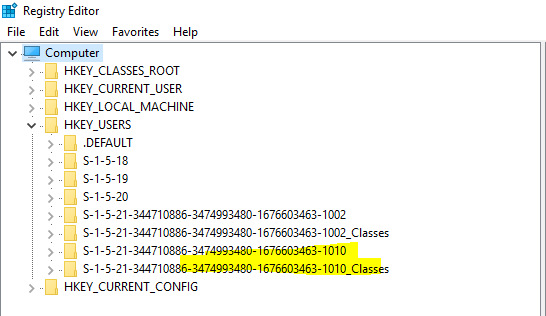 To Delete user profiles with PowerShell you can use Remove-CIMInstance. But with great power comes great responsibility..So lets see how we can manage profiles. the SID of the user. Hmm what does that mean? Ah I see , Special, looks like it is a “special account”, so probably some user profiles we do not want to mess with or the world may end. Also messing with something that is “Loaded” is probably not good either as, that is either a user logged into the PC or a service. Ok I run the command above and BritV8 does not have a profile… of course they don’t they have never logged in! I can fix that!